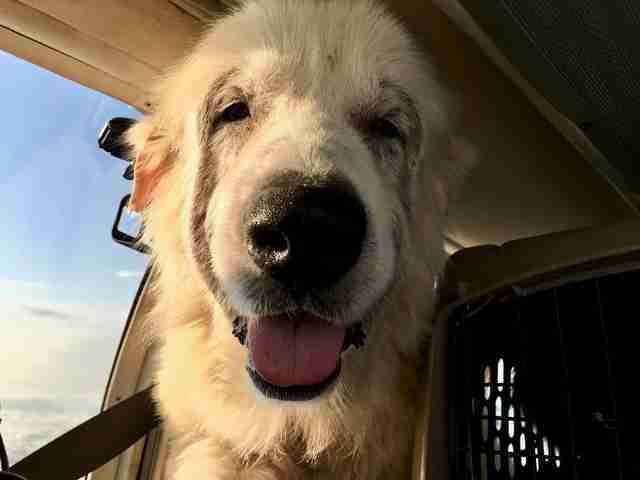 The first time Woody, a 5-year-old Great Pyrenees, got to ride in an airplane, he was on his way to freedom. And he had a special way of showing his thanks. Initially found as a stray on the streets of North Carolina, Woody had spent his days inside a local shelter, with nothing but concrete walls to stare at. After a veterinary exam revealed that he was suffering from mange, heartworm and a host of other problems that would require expensive medical care, he was scheduled to be euthanized. LaMancha Animal Rescue heard of Woody’s situation and agreed to take him in. The only problem? The rescue was located hundreds of miles away in Unionville, Pennsylvania. That’s when network engineer and Army veteran Paul Steklenski stepped up with a plan and, more importantly, a plane. 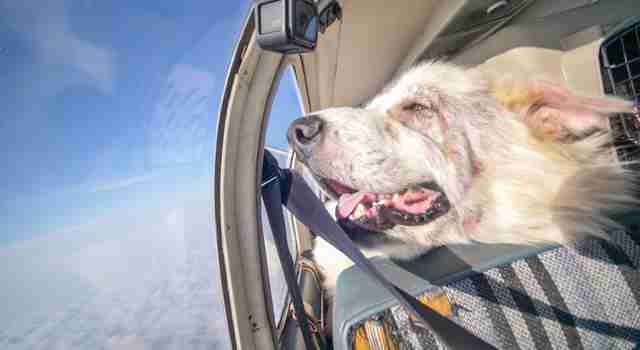 Steklenski is the founder of Flying Fur Animal Rescue, and over the course of three years he has flown over 1,000 animals in need from overcrowded kill shelters in North Carolina to rescues in the Northeast. Steklenski was inspired to start the nonprofit after adopting his own dog, Tessa. When Steklenski arrived at the airport early one morning in late July, he set to work figuring out a Tetris-like configuration of crates for Woody and the four other dogs he was transporting. Too much weight in the back of the plane would throw off the aircraft’s balance — and Woody’s 84 pounds made things all the more complicated. Steklenski made Woody a comfy spot between the crates and the walls of the aircraft, and the dog seemed quite content. 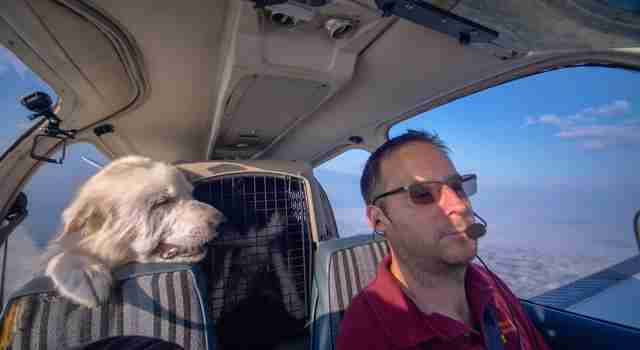 But as soon as the plane left the ground, it became clear that Woody wasn’t interested in being merely a passenger — he wanted to be copilot. 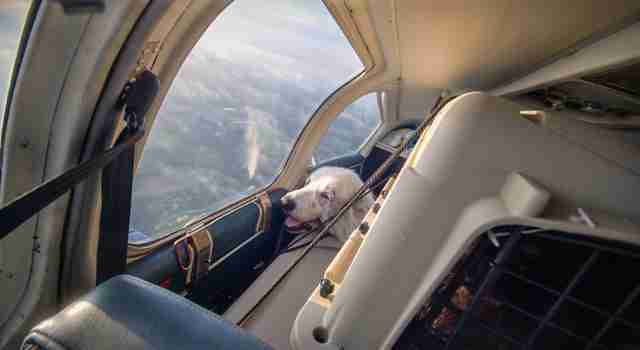 Woody popped up over the seat and couldn’t stop smiling at his rescuers. 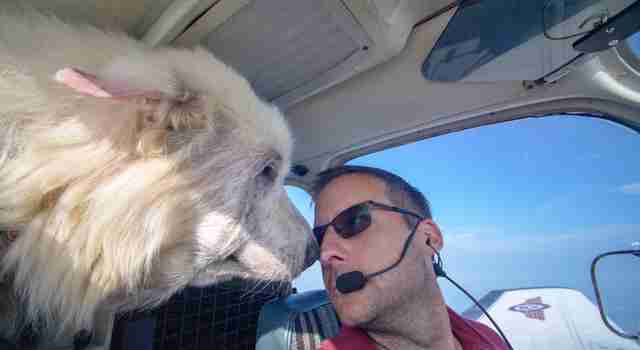 He quickly became friendly with the pilot and cameraman present in the plane. Above the clouds, Woody didn’t seem to have a care in the world. The dog’s calm and happy demeanor even helped Steklenski stay positive while navigating the difficult weather conditions on the way to his first stop in Pennsylvania. Woody was used to turbulence in his everyday life, so a little bumpy air was nothing. In fact, between hanging with his new buddies and admiring the view, he took a nap. 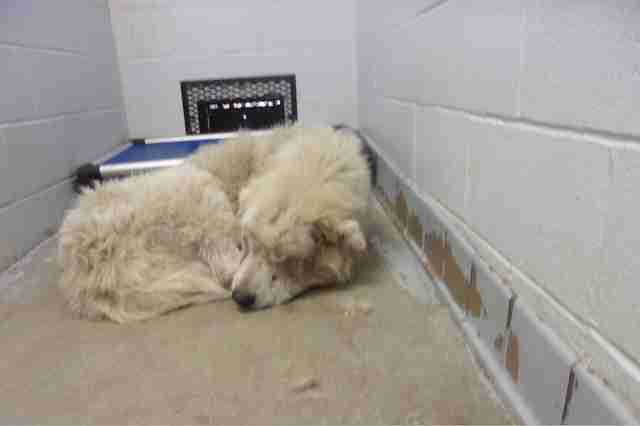 After a week of healing at LaMancha Animal Rescue, Woody’s coat is white and fluffy once more. Now on a special diet and antibiotics, he’s gaining weight and enjoying running around the rescue’s farmland and snuggling up on his first real couch. Steklenski can’t wait to visit and see just how far the dog’s come. Steklenski knows that once Woody is healthy again, he will make some family very happy. 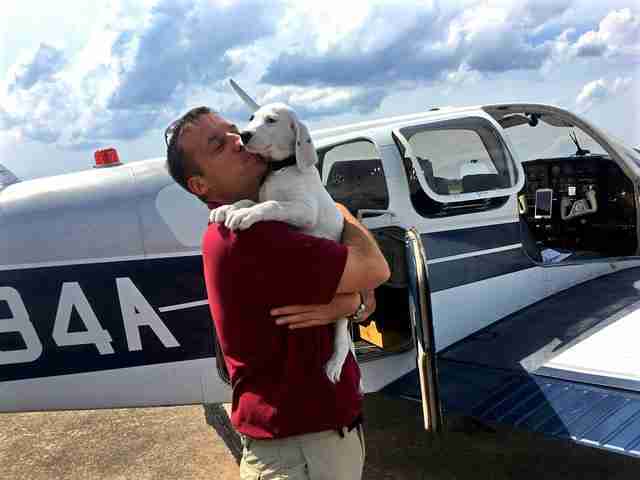 To help more shelter animals find the loving homes they deserve, you can make a donation to Flying Fur Animal Rescue.